suspect and fugitive: the show cards have arrived! the show cards have arrived! for stupid f--king awesome and, imho, they look great! 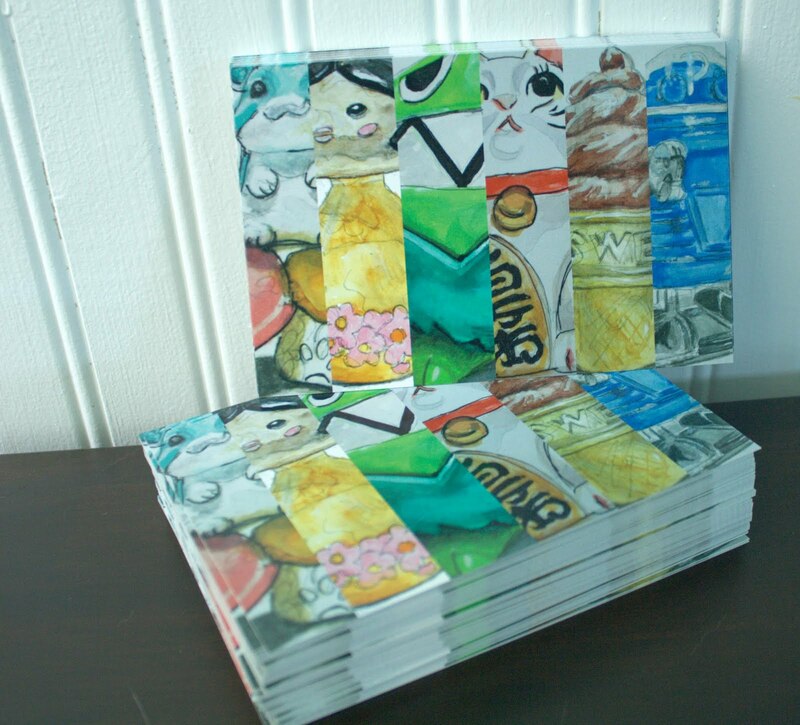 now to get them in the mail/to stores/galleries, etc! don't forget, the opening is friday, july 9 from 6p-9p at nancy! hope to see you there! if you can't wait to get your hands on a painting, i have some for sale in my etsy shop or through bluebottle. reminder: next show opens at nancy on july 9! Next Opening, July 9 at Nancy! S&F Opening is Tomorrow Night! I Stenciled some Cookies for the Show! A Few More Install Shots!